Gift Guide for Travelers: 12 Stocking Stuffers Under $12! H&M is killing it this year with stocking stuffer gifts for travelers! Here are 12 under $12 that I would love to find by the fire place this Christmas. If you're main gift to your friend or loved one this year is a trip or vacation, why not add small "gifts" like these to go along with the surprise without spending a lot of additional cash? These would also be great for a dollar-limit Secret Santa gift or White Elephant gift! All of these are really practical while still being extremely fun. Plus, who doesn't love H&M? Shopping for guys is HARD. I spend the better part of my year just trying to think of a few good gifts for Matt that he doesn't already have, would say "I don't need this", or preemptively purchases under my nose. Dang it. These are all gifts I've gotten him in the past & I've realized would be a great gift for most dads, husbands, boyfriends or brothers. May the odds be ever in your favor. Guys love this kind of stuff. Planning out the dream home they'll be building with their own hands. Sometimes they have to dress up against their own will. These will jazz up any outfit! I made Matt a leather passport case for Christmas the first year we were married... it was a painful endeavor & I wish I found this two years ago. Plus, this employs workers for a fair wage in Haiti. Win-win. For the aspiring bar man. He likes to whip up a new cocktail every so often. These add a certain edge to any drink! Keep those keys where we can find them. Plus the leather adds a manly touch. Once again, the bartender in every man will love these ice molds. Makes every drink look badass. 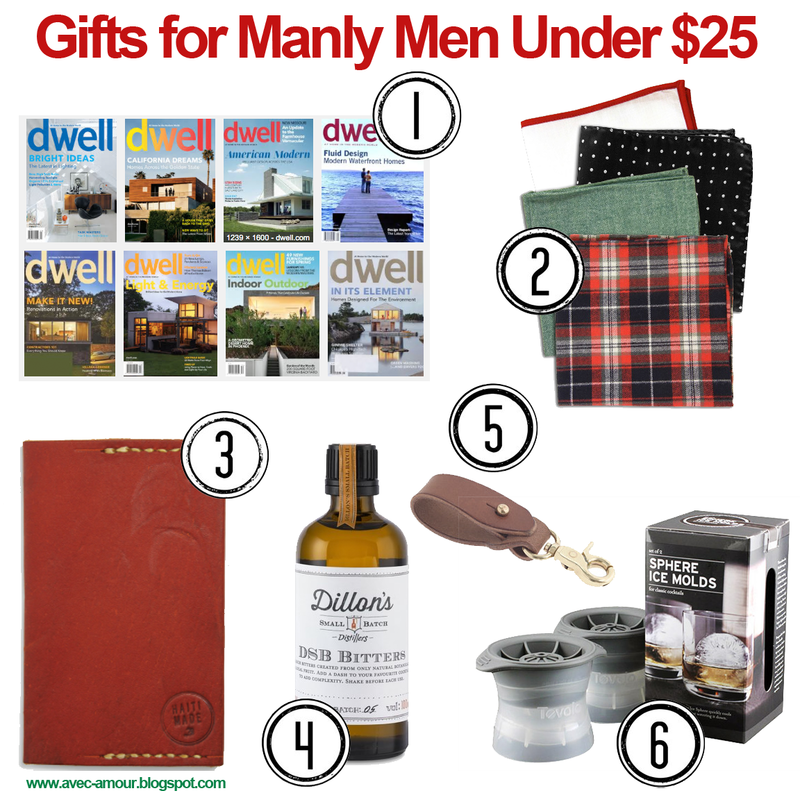 Look no further for a gift for the men in your life. Happy shopping! Gifts for your mom, gifts for your sister, gifts for your best friends, gifts for your co-worker.... gifts for all the ladies in your life. These items are high quality, on trend, and fit in the budget nicely, as each on is under $25. The blanket scarf has taken over, and tartan is chic. This is cozy & seasonal but will endure all winter long. We all love Rifle! Beautiful designs & girly notes, this is perfect for anyone with a desk or home office! I'm always looking for cute little bud vases to pop a few sprigs into before guests come over. These are gorgeous and fun. Plus, you can snag 2 for under $25. Delicious chocolate in every type of flavor. Many specialty shops (locally in Nashville you can find them at Barista Parlor) carry these chocolate bars, or you can order packs online. Chocolate is certainly the way to any woman's heart! This Tori Burch rollerball comes in a cute Christmas cracker packaging, making it instantly gift-able. Sephora has a wide range of designer scents for every lady friend you have. Which girls are on your list this year? It's that time of year... we're all shopping for family, friends, husbands, co workers and the lot. 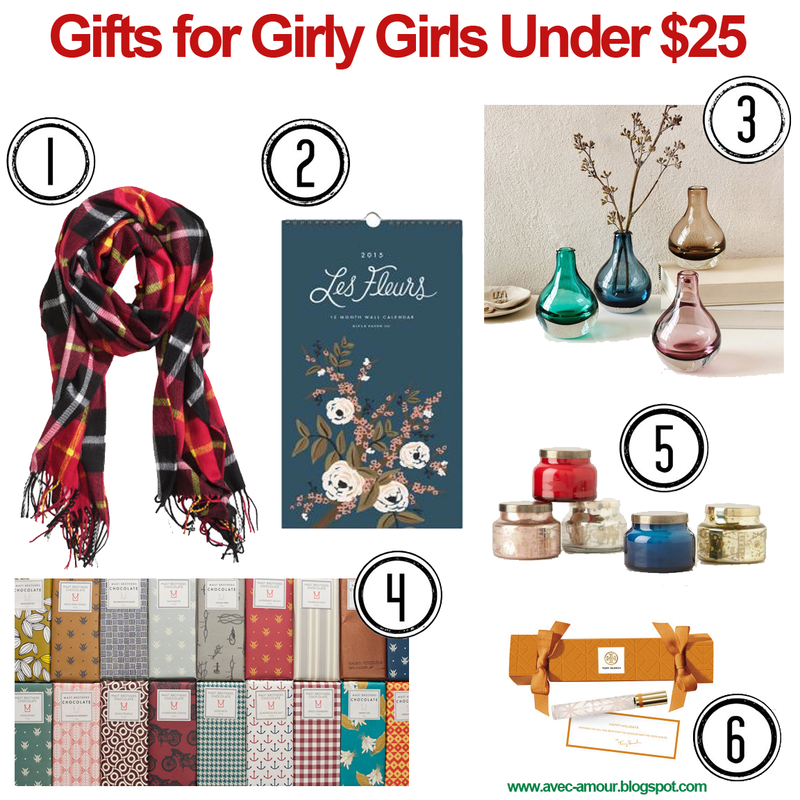 That's where gift guides come in handy! I've shared before how much I love this little water bottle. It packs up easily when you're done (or going through airport security) and it pays for itself when you avoid buying 4 bottles of water after the TSA pat down. If you wear glasses (prescription, fake, sun or otherwise), this is a great product for you. A natural beeswax product that you put on the bridge of your glasses so they don't slide constantly. It's amazing, and made locally in Nashville! These aren't just any SD cards... they flip out and automatically become a USB. They're handy for travelers in 2 ways - you can leave the cord behind if you want to transfer photos on the go, and you can use this as a jump drive if you need to save a document for some reason. This feature has been so handy over the years, I'll never use another normal SD camera card again. Customized to your own profile (curly hair, combination skin, loves nail polish, hates new perfume, and so on), it's a great way to get fun, new beauty products in travel size. Every month I receive new travel sized hair products, BB creme, dry shampoo and more. It's the best! I've said it a dozen times before: packing cubes are the BEST way to pack light & maximize your space in a suitcase or backpack. This multi-pack has a small, medium & large. I use them every time I travel & they're a game changer! They're also super helpful for staying organized when you're living out of a suitcase. This is a lifesaver for work when I was on set all day. It charges my phone almost two full times from a dead battery. It charges my iPad about 1.25 times. Long road trip, international flight... any time you're bored & draining your battery... this charger is clutch. It's the size of a lipstick so you've always got room. Thanksgiving is THURSDAY. Are you ready? Here are tips & trends for this holiday season. Visiting your family? Here's a great packing list for the holiday weekend weekend. Tips for flying this weekend via Conde Nast Traveler. Two Dozen retailers that won't open on Thanksgiving. I like this trend (the shopping can wait until tomorrow!) What do you think? First Thanksgiving with a boyfriend/girlfriend or spouse? Keep calm & eat turkey. Last minute Thanksgiving travel tips from NY Times. Can you guess how many millions of people are traveling this Thanksgiving? Hint: It's a freaking lot. 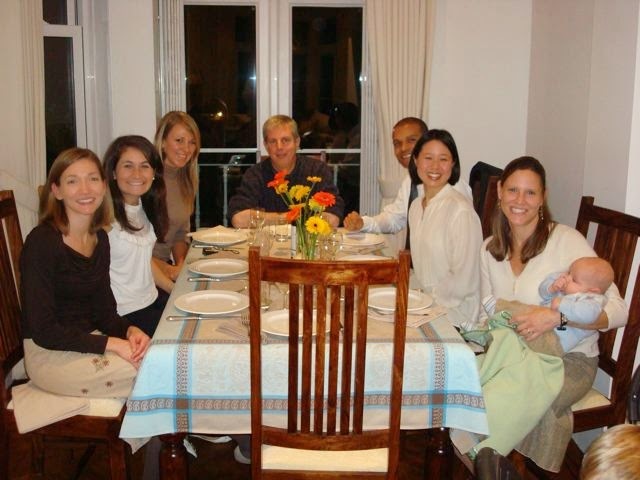 Love these Thanksgiving Travel dilemmas solved article. Thanksgiving road trip? Here's 6 ways to eliminate motion sickness for the drive. I want to eat this entire Thanksgiving inspired vegetarian salad.... YUM! 16 types of stuffing. THIS is my kind of Thanksgiving dinner! Buongiorno from Italia! 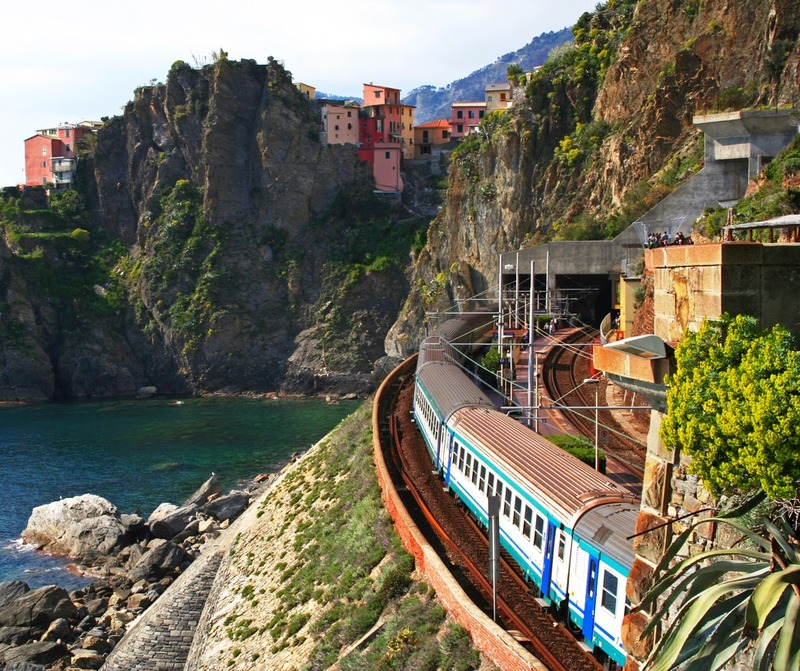 We started our morning in Cinque Terre & are taking the train to Rome. This country is so gorgeous & I can't wait to share more about it! Leaving work for vacation stresses people out. It's probably why American's only take about half of their paid leave every year... which is really sad. Working for myself has it's perks, but there's nobody to cover for me when I'm away, which means I have to do some strategic planning. Since I entered the working world, I've taken as many trips as I can while still managing a workload (both as a freelancer & as a salaried employee). 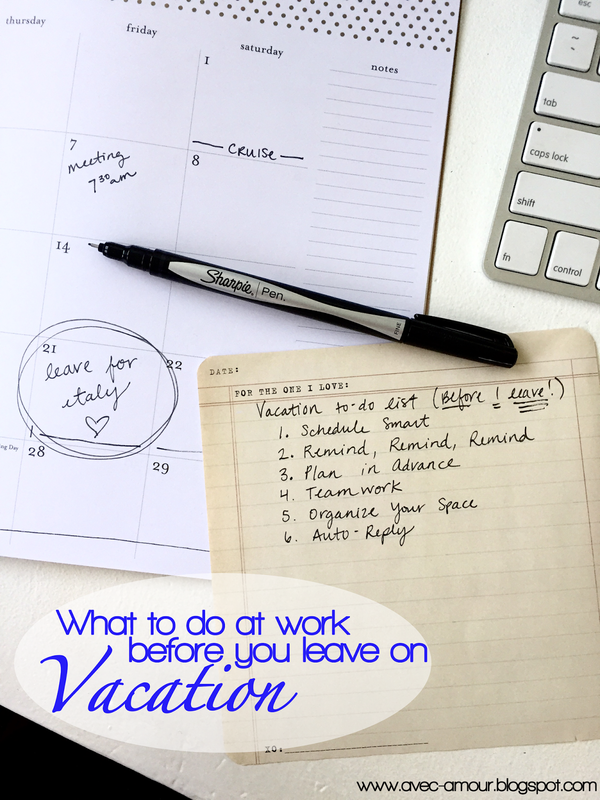 Here's how to get everything done at work before you leave on vacation without feeling stressed! Don't overcommit on meetings right before or right after your vacation. If you can avoid meetings the day before and day after, do it. It will help you complete more tasks before your trip and get caught up quickly once you're back. Let them know a couple of weeks in advance which days you'll be unavailable. Be sure to be professional and use the opportunity to let them know you'd love to take care of anything NOW before you're unavailable. Double check with your boss that this is ok, but I've always found that clients are appreciative of the heads up. These people will be your rock while you're gone. They'll be stuck covering for you, so give them the courtesy of asking rather than them being blindsided with extra work. These folks have a lot to handle - even if they're the ones that approved your vacation, they've likely forgotten by now. Remind them gently that you'll be gone and want to handle any pressing matters before you're unreachable. If you share calendars, send them a request so they'll see your blocked out dates and won't schedule you for anything. Look at the two weeks after your vacation to see if there is anything pressing. Are there any client events or important dates approaching? Ask anyone involved what they need from you so you aren't scrambling three days before something important. You might have a little extra work on the front end but you'll be thankful once you return. Make a to-do list for your first day back so you're feeling organized post-vacation. I said this before, but your co-workers can be your lifeline while you're gone. If you have an office buddy, ask if they'll check in on your emails or clients. Also check with anyone you're co-working on a project with if there's anything they specifically need from you before you're gone. Be a team player and make sure nobody will be held up waiting of you. Don't forget souvenirs for those who were helpful to you, and an invitation to help them out next time they go away! It's huge to know you're covered. Take 10-15 minutes before you leave and organize your desk. Label anything that might be needed by a boss or co-worker, leave any important passwords or keys with a supervisor or someone who has permission. Clear off folders & coffee cups, and work through your inbox so you're space AND your mind are clutter-free. Set those messages. Email, voicemail, cell phone, white board on your door... whatever it takes! Double check that they work. Send yourself an email from your personal account, call from another phone line, etc. Your email message should include dates you'll be gone and perhaps someone else to contact for specific needs (preferably someone you've discussed it with, #4!). Luckily all important people will already know you're gone (#2!!! ), but this helps people not feel forgotten about. Turn off the lights, shut the door, and check OUT. You're on vacation, enjoy it! WE are leaving for vacation so soon... I can almost taste it! I hope you all have a great Friday! Caio! Getting ready to leave for more than a long weekend takes a lot of prep work. Cleaning your house a few days before that might not seem like the top of your priority list, but I promise, you'll be thanking me later. If you make sure you're packed ahead of time (save a few essentials like make up & toothbrush), this list won't take more than 2 hours of your time MAX & can be done over a few days. You can do it! What's better than coming home from vacation, taking a nice shower and climbing immediately into bed with ZERO to think about? Nothing. If you clean house before vacation, you'll be enjoying these perks & be stress-free. Here's how. The best way to make this painless is to keep groceries to a minimum a week prior. We bought only the essentials last week and have been eating down any random foods and we're almost down to nothing! If you've got a lot of fresh foods leftover a few days before you leave, make soups, salsas, or meals that can be frozen for your return! I made a version of this soup on Tuesday and used up all of our carrots & potatoes (plus, dinner & lunch were done for the next day)! Focus on cleaning out perishables like veggies & fruit, cheese, lunch meats, dairy & bread. Things like eggs, frozen foods & canned goods will last a few weeks without a problem. Toss any leftovers you won't end up eating. The more you work on eating up what you have, the less waste there will be! Think about things with a long shelf life and have them ready. Coffee, eggs, oatmeal & tea will cover breakfast. Freezer meals (that you made with your leftover veggies), some easy snacks like dried fruit & nuts, rice cakes, popcorn, frozen fruit for smoothies, and pantry items like beans, rice, soup, chili, plus some frozen goodies can create quick lunches & dinners. Dream up a few meals before you leave that require minimal fresh foods so your first day back requires little thinking or creativity. Climbing into bed with freshly washed sheets is absolutely the best. Make up the bed with fresh sheets before you leave for your trip, or keep them off to let your mattress breath while you're away. Having the clean sheets ready is half the battle. Even if they're waiting for you in the dryer! My least favorite part. I try to get this done a week before we leave, doing one final load the day before we leave. If you can't get the laundry done, just make sure all clean clothes are put away & dirty ones are in the hamper. It will make for an organized house when you get back & you won't be wondering if your favorite shirt is clean for Monday morning. You won't likely have time to wash the last towel you used, but make sure you have a clean set ready to go when you get back. Goes great with a nice, hot shower to get the plane grease off. We always keep fresh flowers in our house & there is NOTHING worse than forgetting to toss them before we leave on a trip. You don't want stagnant water & mold flooding your air when you return. A day or two before, do a quick clean. Quickly scrub toilets, quickly scrub the tub, sink and wipe down any surfaces. No ring in the toilet or grimy tub to come back to. You can easily do this in 10-15 minutes! That fresh shower will be worth it. I know - sounds daunting. Put at least getting all of the dishes IN the dishwasher & cleaned will set you in the right direction. If you can empty it - even better. The most important part is to wipe down all the counters & then sweep the floors. You don't want any crumbs waiting around for little mice to decide to use your house as a vacation rental while you're gone. Most things are handled online these days, but think through any bills that might be due within a week of your return. If you're getting home on the 28th and rent is due on the 1st, send it out before you leave so you're not stressed or behind when you return. This might seem obvious, but do it right before you leave. Don't forget random trash cans in the bathroom, bedrooms & common areas. You never know if someone threw away part of a granola bar. Just say no to mice & bugs! 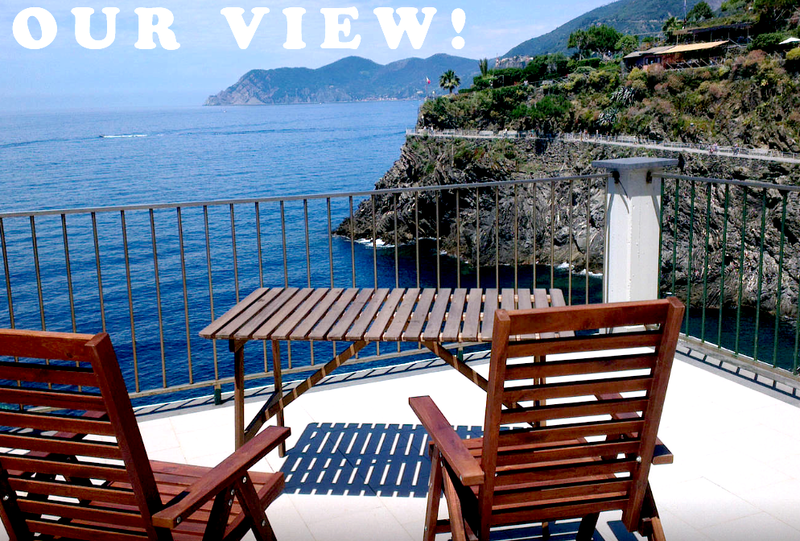 Now - you're ready for vacation! And you'll come home to a peaceful, clean, house that will make the first day back to work/school/reality a little easier. 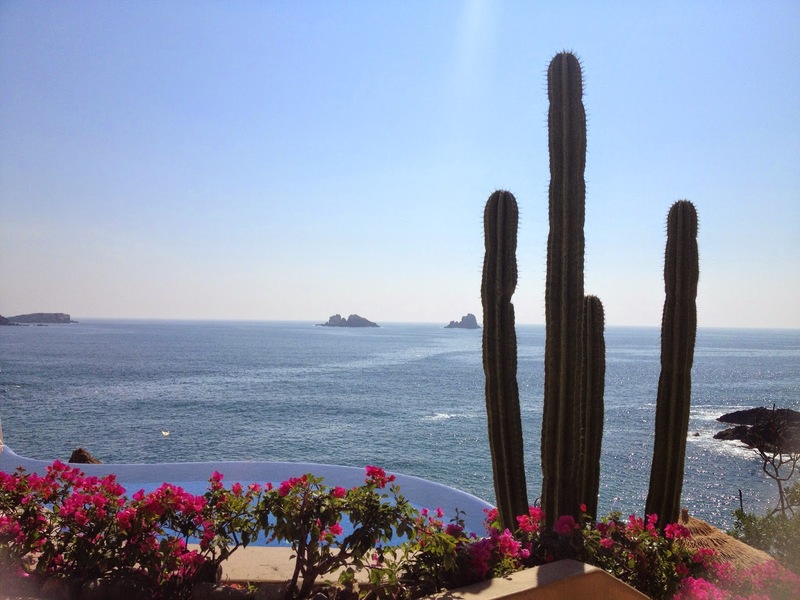 What are your pre-vacation rituals? 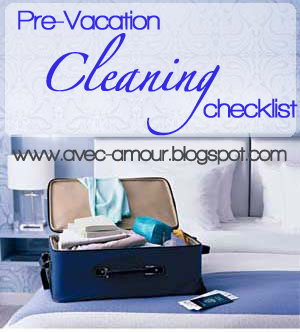 Do you have a pre-vacation cleaning checklist? I've always been obsessed with music. It's been a good week for music in my book, as the new Damien Rice was released & new Copeland (a band I never thought I'd hear from again) dropped a few days ago. One of my favorite things to do when I travel is wander the streets with my headphones in and a killer soundtrack. We're gearing up to leave for Italy, so I thought I needed a new playlist for the long train rides. T-2 days and we're off! PS - Just to be clear: I feel the same way about Spotify as Taylor Swift. I believe artists should have the opportunity to get gold & platinum record certifications (T-Swift's 1989 is the ONLY album this year to reach platinum.... maybe because people had to actually purchase it?!). I believe in buying music & supporting artists that you love! I only used Spotify to be able to embed this playlist... I do not pay for a Spotify subscription because I buy albums. All of the songs you see above, I own personally :) And I think you should buy them, too! When I studied abroad, I took a 10 day trip with Sharyn that we named The Trip of the Century - 4 countries in a week and a half. Our last stop was Malta, and it also happened to be over Thanksgiving. In lieu of turkey, we dined on rabbit - a traditional Maltese feast. I don't remember much about the way it tasted, but I'm pretty sure it was one of the last non-vegetarian meals I ate. For our anniversary celebration last year, Matt and I decided to skip town and get some sunshine. Capella - aka, our happy place - was the perfect place to have a dual celebration in a non-traditional way; we dined on fresh fish caught in that bay behind us. Pescetarians rejoice. This year we'll be in Florence probably eating wine exclusively for Thanksgiving dinner :) I'm definitely not complaining! Holidays are special any way you make them... if you're away from home, you can still celebrate! If you're traveling by yourself, make friends & turn it into a reason to party! Holidays abroad are really fun and memorable. Have you ever spent a holiday abroad? 10 hilarious travel gear fails. #5 & #7 are my favorites. How not to look like a tourist in Rome! 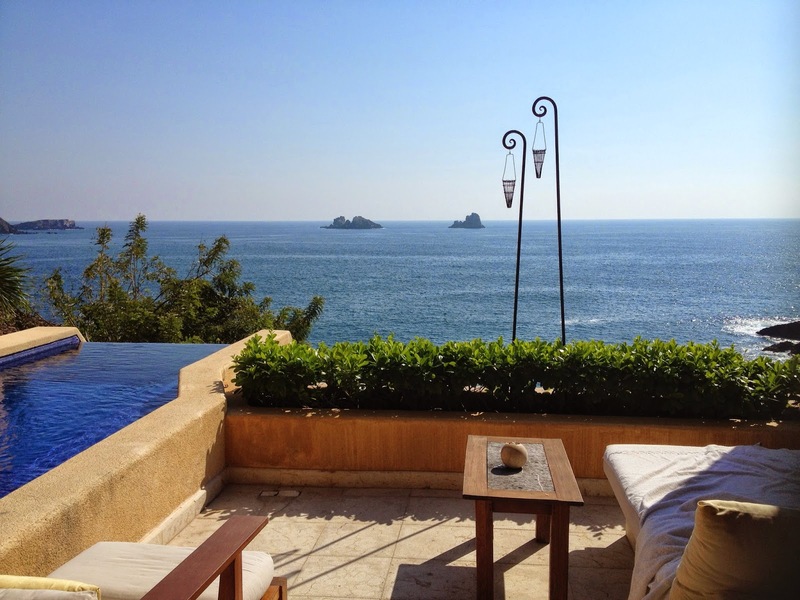 Yours truly is quoted on #4 of the 10 Perfect Vacations Awards. Capella is my favorite! The Anti-Tourist travel laws. These are actually really good points! Florence: do this, not that. 11 tips Italians want you to know. These are really great! 23 beautiful photos of Florence - swoon. It was also voted the best city in the world this year! Tips for dining out in Italy. Taking notes on this one! 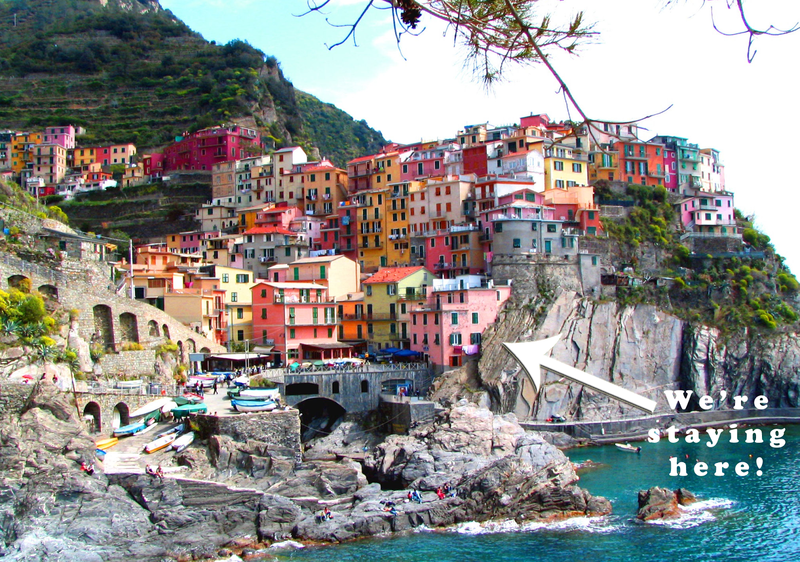 We watched this video of Cinque Terre... while cheesy, it's so BEAUTIFUL and I can't wait to go! Italian wine map by region. Più vino per favore! These are the best 50 hotels in Italy. We're staying in Airbnb apartments, but these are gorgeous. Ghost tours in Italy. We're going on this one in Venice! 7 of the best wineries in Tuscany. Yes, please! These photos will make you want to visit Venice. 10 dishes to try in Italy that aren't pizza! A little day trip from Venice, just an Island away. Nobody likes math. Everyone likes lighter suitcases. This is the kind of equation I can get behind. 95% of my Italy packing list includes things that easily mix & match. The burgundy pants clash pretty badly with the red tartan shirt, but that's my only clash. I justify the pants because they add a pop of color to plain colored tops & mix it up from boring jeans! I could even potentially wear the yellow cardigan over the tartan shirt as well... but we'll see how it looks in my trial run packing experiment this weekend! All I can say is THANK GOODNESS FOR PACKING CUBES! The beauty of accessories is how much they can change your look. The black boots are more sleek for dinners and nicer areas. The brown are more casual. Also, the leather jacket can add a certain edge OR sophistication to an outfit, depending on what I do with jewelry or shoes! We're only going to be gone for 10 days, but this list would give me plenty of options for over a month. Add, subtract, multiply & divide. Who says math can't be fun? We are leaving for Italy in a WEEK! I'll be doing a trial run of my packing over the weekend, so I've been narrowing down what I want to carry around in a 45L backpack all week (hint: i really don't want to carry much). The 45L backpack I have fits 3 of these medium sized eBags packing cube perfectly, which holds all this stuff! The weather is looking nice - low 60's during the day, 40's at night. Hopefully the rain they're experiencing this week will pass :) Since the evenings will definitely be chilly without freezing, layering will definitely be my friend. Light layers to mix & match also happen to be the easiest way to pack light & still have plenty to wear. SCORE. This packing list for Italy in the Fall would likely work if you were packing for anywhere in Europe in the fall. We are staying in Airbnb apartments with washers & dryers, so I'm planning on doing laundry two or three times. That way I can only bring a couple pairs of socks, underwear, bras, and active wear. Keeping that stuff to a minimum is a life saver. I'm keeping my extras to a minimum as well, leaving the blow dryer at home and taking mini cosmetic samples of my favorite brands. If I do my trial packing experiment and it doesn't feel light enough, I'm going to ditch one coat and one of the button up shirts. I've got plenty of options even if I leave it at home. I'll be sharing all of my mixing & matching options for these outfits... I'm definitely getting creative! We're going for 10 days, and this packing list will cover a multitude of events. I have a sweater dress for any nicer occasions, comfortable options like leggings & sweaters for a long day on the train, jeans for the every day. I feel extremely prepared. Last night we started planning out some more specific plans for our trip, like when we'll be going to the Vatican & which ghost tour we'll go on in Venice :) I'm so excited to go back! 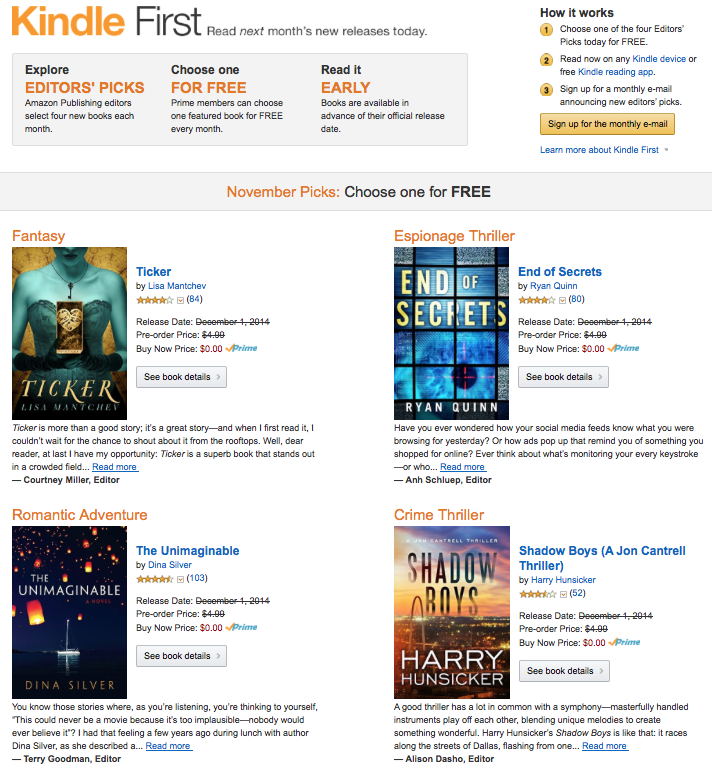 4 Ways to Download Kindle eBooks For FREE! I've always loved reading. I remember being in 4th grade and reading an entire Babysitter's Club book every single night. While I'd much rather be bending the spine of an actual book, I've learned it doesn't make sense to carry around multiple books on a trip. I typically bring one along and then rely on ebooks for the rest of my entertainment. It's great knowing you can download a new book in just a few minutes while you're on the road, especially if you finish your book before your first layover (it's happened to me more than once). The only problem with eBooks is how expensive they are! I understand we're paying for convenience - but why pay for eBooks when you can have the same thing for zero dollars down? 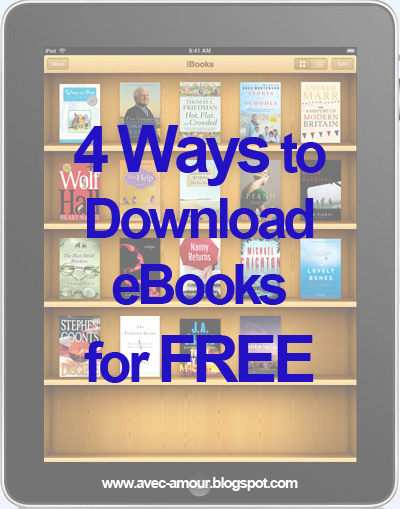 Here are 4 ways to download eBooks for free. For starters, Amazon Prime is one of my favorite things. For $99 a year, we have unlimited streaming movies & TV shows (we don't pay for Netflix, Hulu Plus or cable), free 2 day shipping, streaming music and now photo storage. And to top it all off, Prime offers 4 pre-released books at the start of each month, and Prime members can download one for free. (Note: at $99 a year, Prime is the same amount as a Netflix account.... with way more benefits). If you want MORE free books, why not use this FREE trial of KINDLE UNLIMITED now! the iPad & iPhone version of Kindle is called iBooks. Lucky for you, it comes preloaded on all your Apple devices :) Even luckier, iBooks is FULL of free books. Many are current & by notable authors! Sign into iTunes & check out the tab for Great Free Books. While I haven't downloaded off of this site (I find it much easier to do things in app form), it's a great place to find this list. Books that were published before 1923 are public domain. I use this list to see what classics are available. 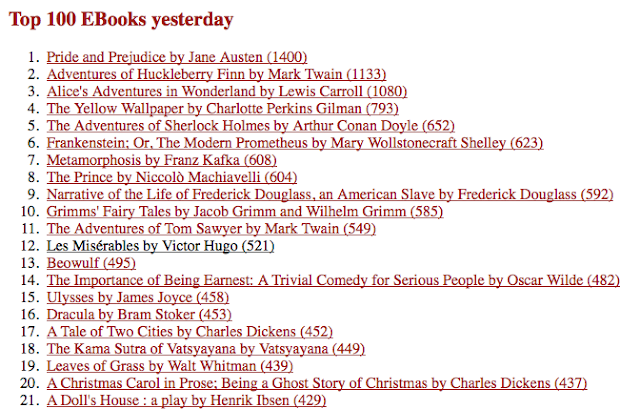 Jane Austen, Mark Twain, Lewis Carroll, Charles Dickens, Charlotte Bronte, and every required reading book from high school (Heart of Darkness, Metamorphosis, Beowulf, A Doll's House, Dracula, Scarlet Letter, a Modest Proposal, Wuthering Heights... just to name a few). 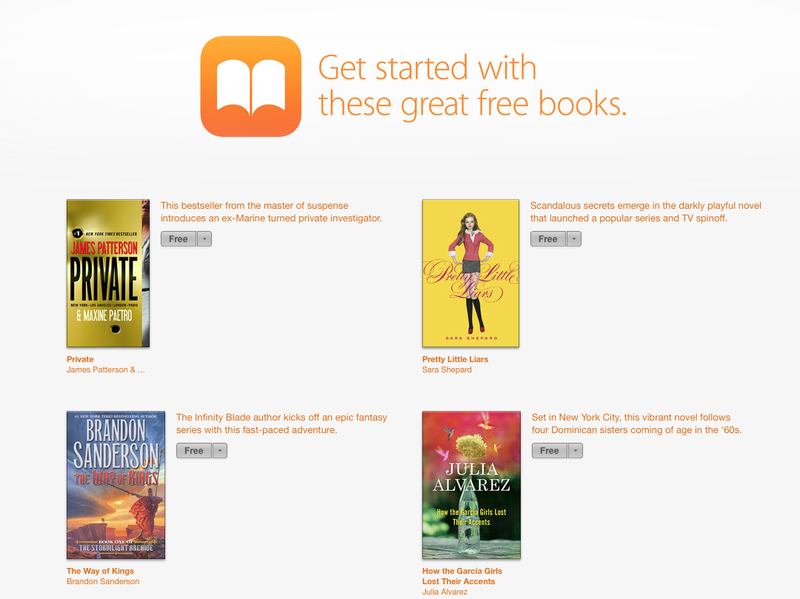 Once you find the book you're looking for, do a search on iBooks and you should be able to download it for free! If you haven't been to your local library lately, you really should check it out. Chances are it's just as close as Barnes & Noble, but it's much more free. They also have seasons of TV shows, movies & a ton more! The downtown Nashville library amazing - built in a marble building from the 1920's with huge, high ceilings. I love it there. What I love even more: most local libraries (at least in more metro areas) have free eBook lending options as well. Nashville public libraries selection is really amazing. I'm on the waiting list for Amy Poehler's new book (they have 60 copies... they're just already checked out) & borrowed Gone Girl during the hight of its popularity. 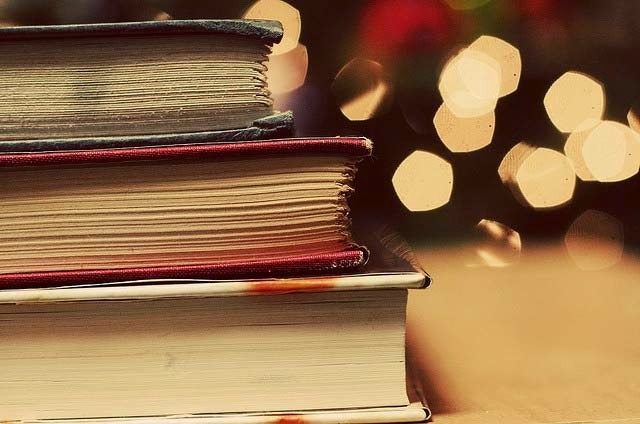 They receive new books as they come out, so it's perfect for the avid reader on a budget! Just make sure you sign up for the eBook option & have your Library Card Number available on the go! 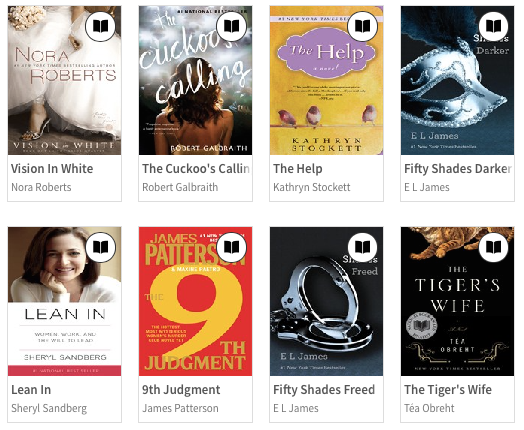 Now you're ready to read for free... what will you read first?